(Got more!!) 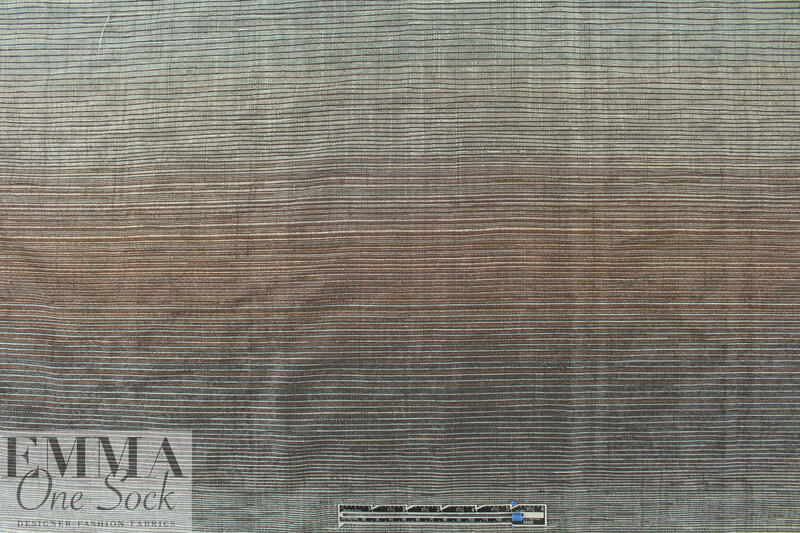 This exquisite Italian viscose and metallic blend woven is a blend of fibers in an ombre' pattern (18.25" repeat) that changes from bronze to blue-gray, with coppery metallic fibers throughout (PANTONE 18-4011, 18-1137, etc.). 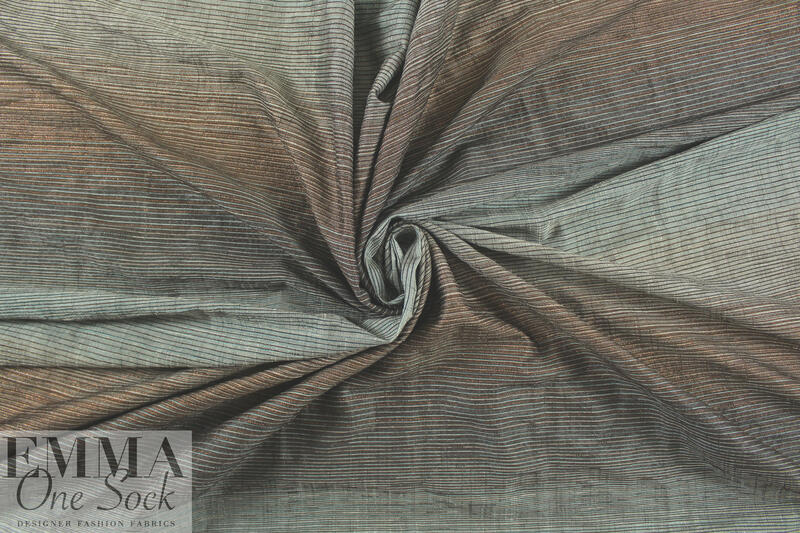 It is fairly lightweight and semi-opaque, with a very subtle texture and a drape similar to cotton shirting. 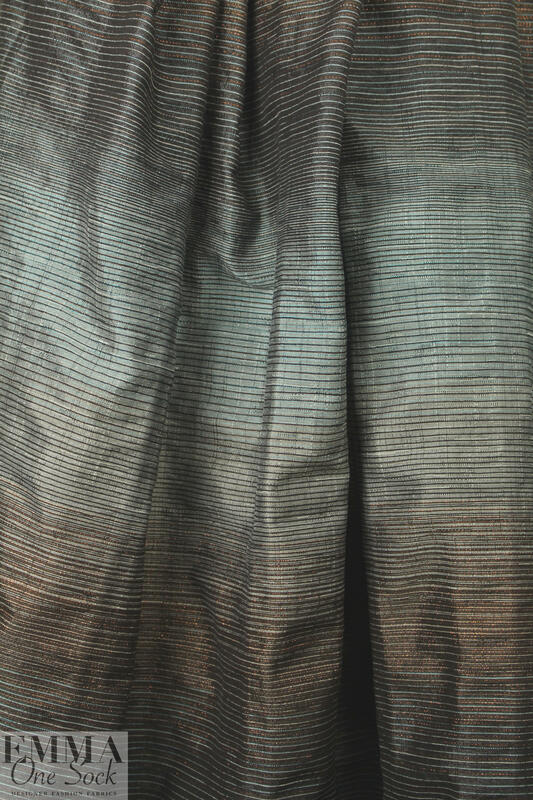 It has the same drape with the grain as across the grain, which opens up a world of design possibilities! 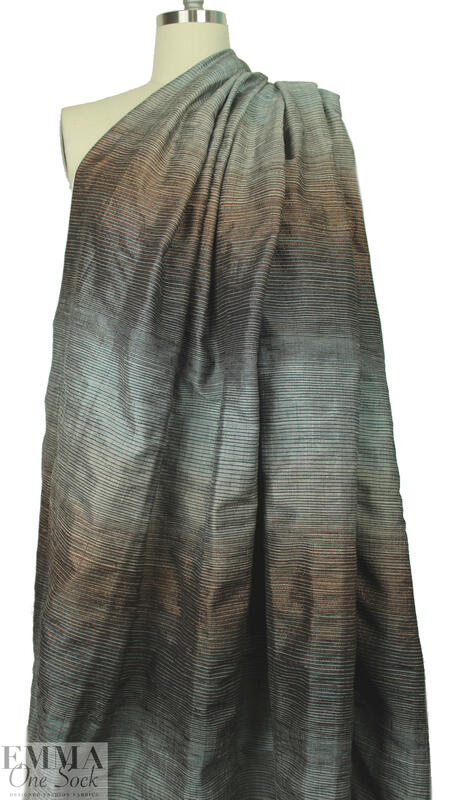 It has a sophisticated, urban look, and would make a fabulous shirt, tunic, kimono, dress, skirt, etc. Dry cleaning recommended.